As non-industrial private forest owners own a large share of forests in Europe, their management choices can largely affect the delivery of forest ecosystem services of different types: provisional, regulation and cultural. The literature is rich in studies exploring the delivery of both provisional services (timber or wood products) and cultural ones (recreation or amenity). However, fewer researches have addressed the delivery of regulation services like regulation of climate, carbon sequestration or preservation of habitats. The paper intends to contribute to this scarce literature with a Southern European case study. It analyses whether non-industrial private forest owners from an Italian alpine region would be willing to deliver additional (i.e. beyond legal requirements) quantities of regulation forest ecosystem services, whether they would do so with or without payment, and what affects such willingness. Three services are analysed: habitat improvement, soil conservation and carbon sequestration. Three multinomial logit models are estimated on a sample of 106 non-industrial forest owners. The results show, among others, that the willingness to deliver regulation forest ecosystem services is enhanced when the service impacts also on the property scale: this result concurs with the literature which shows that non-industrial private forest owners very often maximise not only their profit but also their overall utility by considering the self-consumption of services. 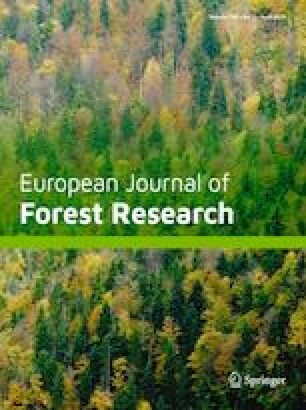 The paper concludes by providing indications for targeting and tailoring active forest management policies focused on non-industrial forest owners of Italian alpine regions. European forests are important providers for many different forest ecosystem services (FESs), ranging from delivery of wood and non-wood forest products to regulation of climate and water flows; carbon sequestration; preservation of habitats, landscape amenities and cultural heritage (Thorsen and Wunder 2014). Following the Common International Classification of Ecosystem Services, FESs can be grouped into three categories (Haines-Young and Potschin 2018) (1) provisioning FESs, which include material and energetic forest outputs; (2) regulation and maintenance FESs, which include the ways in which forests mediate or moderate the environment; (3) cultural FESs, which include the non-material outputs of forest ecosystems. All three categories of FESs affect human welfare: for example, provisioning FESs include essential nutritional and non-nutritional materials, such as non-wood forest products, timber and firewood; regulation and maintenance FESs, such as climate and water flow regulation, have an impact on health, safety or comfort; cultural FESs, such as the provision of a well-conserved landscape or of recreational or spiritual opportunities, have an impact on the physical and mental states of people. However, not all three categories of FESs have the same economic features: while provisioning FESs are mostly private goods traded in markets, regulation and cultural FESs are usually non-rival and non-consumptive and therefore are non-marketed public goods (Bjärstig and Kvastegård 2016). Typically, FESs are interrelated. Often, the provision of one FES is antagonistic to the provision of another FES. The type and quantity of FESs provided are connected to forest management approaches (Pukkala 2016). When management objectives are focused on economic interests, forest owners’ choices may favour the delivery of provisional and marketable FESs at the expense of non-marketable regulation and cultural services (Duncker et al. 2012); this generates economic trade-offs among different types of FESs (Bennett et al. 2009). Studying the reasons for forest owners’ management choices in delivering marketable FESs such as timber and wood products is an established field of forest economics research, with a body of literature rich in methodological contributions, case studies and reviews (see, e.g. Amacher et al. 2003, Beach et al. 2005, Silver et al. 2015). A good number of these studies deal with non-industrial private forest (NIPF) owners, who hold a large share of forests in North America (Joshi and Arano 2009; Côté et al. 2015) and in several Northern, Central, Western and Southern European countries (Ingemarson et al. 2006, Brandl 2007, Silver et al. 2015, Pulla et al. 2013) and, therefore, can notably affect the delivery of provisional FESs and the related markets (Matta et al. 2009). Today, however, the societal shift in demand towards regulation and cultural FESs (Croitoru 2007; Górriz-Mifsud et al. 2016) is leading to a reconsideration of traditional forest management towards multifunctional models (Blanco et al. 2015). In parallel, research efforts are increasingly devoted to understand what may reorient NIPF owners’ choices towards management objectives inclusive of public FESs. This emerging research has shown that NIPF owners are a multifaceted group with several objectives (Ní Dhubháin et al. 2007; Howley 2013; Feliciano et al. 2017): some of them prioritise goals related to production of FESs for the market; others prefer goals related to self-consumption of FESs, such as recreation and amenities delivered by their forest estate (Boon et al. 2004; Kendra and Hull 2005; Serbruyns and Luyssaert 2006; Butler et al. 2007). The research has also highlighted that although financial compensation may help, the delivery of public FESs by NIPF owners goes far beyond a matter of public policy or support while stretching across a wide set of factors, including the ownership characteristics, the owner’s personal features and motivations and the socioeconomic context (Harrison et al. 2002; Boon et al. 2010; Song et al. 2014; Rodríguez-Vicente and Marey-Pérez 2010; Domínguez and Shannon 2011). Research in this arena is growing fast but is not fully mature, with several aspects not yet addressed. Two of them have drawn our attention. The first aspect is connected to an uneven research focus with respect to the category of FESs: because of their partially private dimension connected to self-consumption by NIPF owners, cultural FESs such as recreation and amenities have been more often studied than regulation FESs where the off-site public dimension is predominant, such as habitat conservation, carbon sequestration, water flow regulation or soil erosion prevention. The second aspect is connected to the imbalanced geographical distribution of research: a North American and Northern-Central European focus dominates (Beach et al. 2005; Bengston et al. 2011; Urquhart et al. 2012; Blanco et al. 2015) while, in contrast, features and choices of Southern European NIPF owners are scarcely known or documented (Domínguez and Shannon 2011). In their review of forest owner typologies and decision-making patterns, Blanco et al. (2015) quote only one paper from Portugal and none from Italy, Spain or France. Similarly, the more recent review by Ficko et al. (2017) reports very few studies from Southern Europe—specifically, including only studies from Portugal and Slovenia. Particularly in Italy, very little is known about NIPF owners and their management choices: the country lacks updated forest statistics, so no recent information is available about structural characteristics of NIPF ownership, let alone about the owners’ personal features and the factors affecting their management choices. However, the richness of situations offered by the highly diverse characteristics of Southern European forest ecosystems (Martínez-Jauregui et al. 2016; FAO and Pan Bleu 2018) makes Southern European NIPF owners a stimulating and challenging research case, potentially adding novel and original insights to a body of literature still mostly inspired by analyses of Northern European production-oriented models. There is another issue that calls for a Southern European research focus. In Southern European countries—and Italy is no different—private forests are often characterised by a lack of active forest management, and vast research indicates that this condition increases forest vulnerability and is associated with a high risk of FES loss (FAO 2013; Lindner et al. 2010). Hence, combating abandonment and obtaining more vital forests in those countries is crucial, and NIPF owners should be at the nexus of actions aimed at including the delivery of public FESs in forest management models. An understanding of the factors affecting NIPF owners’ behaviour is needed to increase forest ecosystem resilience and create integrated policies, through both regulatory baselines and voluntary instruments over those baselines. On these premises, this paper intends to explore whether NIPF owners in a Southern European context would be willing to deliver additional (i.e. beyond the minimum legal requirements) quantities of three regulations FESs—namely, habitat improvement, soil conservation and carbon sequestration—and whether they would do so with or without payment. It also wants to shed light on which factors affect such intentions by investigating the effects of four factor categories: (a) the forest property structural factors; (b) the owner’s objective and subjective factors; (c) the forest management factors; (d) the property values from the owner’s perspective. The study has been carried out in an alpine area of the Veneto region (northeastern Italy), which shares forest structural characteristics, management practices and socioeconomic contexts with most of the Italian Alps. The paper is organised as follows: in the next section, the relevant literature is reviewed, followed by a description of the case study context and a presentation of data and methods. Then, the results are presented and discussed with reference to the three FESs considered. The final section reflects on the implications of our results for forest policy design in a Southern European context. When managing their land and forests, NIPF owners are facing with a large range of choices. For example, they can make decisions on afforesting farmland (Duesberg et al. 2014), on reforestation after harvesting (Hardie and Parks 1996), on harvesting intensity and timing (Joshi and Arano 2009; Lidestav and Ekström 2000; Petucco et al. 2015; Rodríguez-Vicente and Marey-Pérez 2009), on implementing conservation practices (Kline et al. 2000) and on participating in voluntary policy programmes (Vedel et al. 2015). All these choices may impact the provision of different types of FESs belonging to the provisional, regulation or cultural categories. Studies on factors affecting forest owners’ choices have pointed out the effect of determinants such as the structural characteristics of the property, such as forest size (Hatcher et al. 2013), forest composition and, in some cases, site quality (Beach et al. 2005). Property size has been shown to positively affect decisions such as harvesting or reforestation behaviours (Beach et al. 2005; Eggers et al. 2014); however, it negatively affects the response to conservation programmes (Lindhjem and Mitani 2012). The forest composition, i.e. the tree species that make up the forest, has been found to positively or negatively influence decisions of planting after harvesting, depending on the capacity for natural regeneration of the different species (Beach et al. 2005). Site quality can be interpreted in different ways. When it has been considered in reference to the high density of forest roads or low slope, it has been found to have a positive effect on harvest decisions; when referring to the quality of forest amenities, recreational opportunities, or biodiversity of trees, it has been shown to negatively influence the harvest decision (Beach et al. 2005). When connected to the presence of small-scale ecological issues in NIPF owners’ properties, it can positively affect the choices in favour of conservation (Belin et al. 2005). Studies on NIPF owners’ choices have highlighted the need to include attributes of the owners such as age, gender, education, family composition and duration of ownership (Rickenbach and Kittredge 2009). Old age has been found to negatively affect decisions in favour of conservation of biodiversity in the forest (Uliczka et al. 2004). In contrast, being young, female and owning land has been found to positively affect intentions to set aside forestland as a response to financial compensation (Boon et al. 2010). Contributions to the field of investigation of NIPF owners’ choices have also come from the theory of reasoned action and planned behaviour (Ajzen and Fishbein 2005), which explains human behaviour on the basis of individuals’ values, perceptions and motivations. The theory has been widely employed in agricultural economics research, where it has substantially contributed to explain the reasons for farmers’ land-use changes and adoption of conservation actions or agri-environmental measures (Beedell and Rehman 2000; Defrancesco et al. 2008; Mettepenningen et al. 2013). When applied to the analysis of NIPF owners’ decision determinants, it has cast light on the delivery of regulation and cultural FESs. For example, Bieling (2004) has shown that the perception of the ecological conditions of the forest and the possibility that the NIPF owners may affect these are crucial in understanding why NIPF owners adopt close-to-nature forest management models. However, a high degree of activity of the NIPF owners (Lindhjem and Mitani 2012), as well as dependence on forest income (Bjärstig and Kvastegård 2016), negatively affects the willingness to enter conservation initiatives. Motivations related to family privacy, rural lifestyle experience and recreational enjoyment, leisure, amenity and biodiversity conservation have been found to be important in determining forest management choices in the US (Sorice et al. 2014), Northern European countries (Nordlund and Westin 2010; Eggers et al. 2014), Spain (Campos et al. 2009) and Portugal (Martínez-Jauregui et al. 2016). Bequest values to offspring also enter the spectrum of reasons underlying NIPF owners’ decisions (Côté et al. 2015; Lind-Riehl et al. 2015). Sentimental values expressing the NIPF owners’ attachment to their property and the enjoyment of some type of FESs, e.g. recreation and amenity, have also been found as reasons for owning and managing a forest (Creighton et al. 2002; Campos et al. 2009; Bengston et al. 2011; Fischer 2012, Stanislovaitis et al. 2015). A review of the literature shows how most recent studies on NIPF owner decisions have further endeavoured to consider informational factors. Indeed, information and knowledge available to NIPF owners have been found essential in the perspective of delivering public FESs. If forest owners perceive having little knowledge and information on the capacity of their forests to deliver public FESs, then they are also less prone to deliver them (Bjärstig and Kvastegård 2016). In contrast, perceiving to possess knowledge and experience about conservation and forest species leads to a positive attitude towards nature conservation (Uliczka et al. 2004). Finally, NIPF owners’ choices depend not only on internal factors (i.e. ownership and owner factors) but also on external factors. For example, contextual socioeconomic factors such as the status of the local forest economy and the type of rural area (Canadas and Novais 2014) as well as market drivers (Rodríguez-Vicente and Marey-Pérez 2009, 2010) have been reported as variables affecting decisions. Where they exist, specific policy initiatives and measures aiming at inducing forest owners to deliver public FESs have also been found relevant (Serbruyns and Luyssaert 2006; Matta et al. 2009). In some cases, NIPF owners need compensation for giving up wood harvesting and adopting management practices aimed at habitat conservation (Kline et al. 2000) or carbon sequestration (Thompson and Hansen 2012). They are also sensitive to the degree of additionality implied in the adoption of public-FES-oriented management models and require being paid accordingly (Vedel et al. 2015). The timing of payments, duration of contracts, restrictions and cancellation policies also affect responses to forest biodiversity conservation policies (Horne 2006), while the availability of incentive programmes in other fields (e.g. in supporting the development of wood and the woodfuel market) often serves as a barrier to the provision of public FESs (Urquhart et al. 2012). In conclusion, it can be determined, in line with most of the literature, that most NIPF owners are wider utility maximisation agents rather than just profit maximisation agents (Amacher et al. 2003; Conway et al. 2003; Domínguez and Shannon 2011). Indeed, their management objectives overcome the sole delivery of marketable FESs of the provision category but also embrace the self-consumption of a wider range of FESs, including cultural ones such as recreation, landscape features and amenities. To this end, even if personal experience remains in the foreground of reasons for owning and managing a forest, NIPF owners may intentionally decide to provide, through specific forest management practices, FESs that transcend the property boundaries. The motivations behind these choices are what our paper aims to investigate with a focus on an alpine case, a context for which the literature is still limited. With nearly 35% of its total land area under forests and other wooded land—i.e. close to 11 million hectares according to the last national forest inventory (Gasparini 2014)—Italy is a forest-rich country. Approximately 65% of this land belongs to NIPF owners (EUROSTAT 2013). In the country, during the last three decades, the role of forests has changed significantly: the demand for wood products has halved, while in parallel, that for regulation and cultural FESs have gained importance (Gatto et al. 2014). Almost three quarters of Italian forests are located in mountainous and hilly areas, which host forests of high ecological, landscape and carbon stock value that are at the same time vulnerable territories exposed to soil erosion and landslides, needing careful management (Pettenella and Romano 2016). As in the rest of the country, in the Veneto region, forests are mostly located in mountainous areas. Because of the abandonment of agricultural activities in the Alps (Cocca et al. 2012), the forest area has grown significantly in recent decades, from 390 thousand hectares in 1980 to 450 thousand hectares today (Regione Veneto 2009, 2013). Approximately 60% of this area is owned by NIPF owners, which are characterised by a fragmented structure, with 32% of them owning < 2 ha (ISTAT, 2000). Approximately 45% of Veneto alpine forests are coniferous high forests of spruce, fir, larch and pines located in the upper phytoclimatic zones where slopes are usually steeper. The predominant management model is continuous cover forestry with selection cutting of timber trees, while clear cutting is not allowed. The remaining 55% is broadleaved forest of mostly beech, oak, maple, hornbeam and chestnut located in the lower phytoclimatic zones and managed as both high forests and coppices for firewood. Unlike the rest of the country, in Veneto, there is still rather active forest management and a local timber market producing approximately 475 thousand cubic metres of timber and firewood each year (Regione Veneto 2013). Forest management in Veneto is controlled by regional authorities and focused on reducing the risk of soil erosion, landslides and floods and landscape conservation. The policy approach is mainly based on mandatory instruments which set the baseline, while voluntary mechanisms are mostly absent (Secco et al. 2011). Forest owners are immersed in a complex regulatory framework, with limited forest management rights (Nichiforel et al. 2018), where harvesting beyond specific thresholds1 needs to be authorised. Land-use change from forests to other uses is admitted only in exceptional cases. In addition, forests with a relatively large size, such as those owned by state or local public administrations, by local communities and by a very limited number of industrial private forest owners, are subjected to forest planning, which addresses the provision of the whole bundle of FESs. This allows the regional authorities to have an archive of information on such owners. However, most of the smallest NIPFs are excluded from the mandatory forest planning and, in some cases, also from other norms and rules, so no information is available on their forest management objectives and their provision of FESs. NIPF owners who did not apply for forest harvesting authorisation: the sample was integrated through a snowball technique2 by interviewing 21 non-applicant NIPF owners located in the selected municipalities (1.79 ha average forest size—σ 2.21—and 60.24 years old on average—σ 13.42). where Pij is the probability that the ith individual chooses the option j.
MLM uses a maximum likelihood estimation of the parameters αj and βj. The approach is widely used in an agricultural economics context, e.g. to model farmers’ attitudes or decisions to adopt environmentally friendly farming practices (for a review, see, for example, Liu et al. 2018). In this research, three different MLMs were estimated, one per regulation FES provided through the adoption of additional management practices beyond the legal baseline3: (1) habitat improvement, obtained through forest management practices aiming to achieve a higher number of specimens of endangered animal and plant species on the property; (2) soil conservation, obtained by reducing erosion through forest management, such as stricter continuous cover forestry practices, or through the reduction of harvesting rates on steeper slopes; (3) carbon sequestration, meaning more carbon stocked in the forest in exchange for a reduction in forest harvesting intensity. Given that this FES is not a part of the traditional Italian forest policy framework, NIPF owners were less familiar with it with respect to the other regulation FESs. Hence, special care was taken to explain it to the interviewees. In each model, three mutually exclusive options were considered: (1) additional delivery of the FES only in return for a payment (j = 1); (2) additional delivery of the FES without payment (j = 2), and (3) unwillingness to deliver the additional quantity of FES, regardless of payment, which is considered the base reference choice (j = 0). The observed outcomes of the willingness to deliver each FES by each of the three options are reported in Table 1. Property values from the perspective of the owner, which captures the effect of provisioning and, in part, of cultural FESs on the willingness to deliver regulation FESs: (1) the economic value of the property (ECON_VALUE), mainly linked to provision and, to some extent, to some marketable cultural FESs; (2) the sentimental value of the property (SENT_VALUE), expressing a different set of values linked to the NIPF owner’s attachment to his/her forest and, to some extent, to the self-consumption of cultural FESs. Both of these factors are measured on a 1 to 4 point scale. The summary statistics of the independent variables included in the final models are reported in Table 2. For each considered FES, Table 3 reports the models’ estimates. The model estimates show that some factors affect, in a similar way, the odds ratios of the willingness to deliver the service, irrespective of payment. A higher level of owner’s education has a negative effect on the FES provision, with respect to the baseline—i.e. the unwillingness to deliver the FES. This is consistent with the findings of Beach et al. (2005), who, in their review, found similar results for multi-objective owners but contrasts with the findings of Matta et al. (2009) and Belin et al. (2005). However, the latter two considered different contexts than that of Southern Europe. In addition, when the forest owner perceives that his/her forest management is already delivering the FES (MANAGE_SERV), he/she is more willing to provide additional quantities of it: this is in line with the findings of Beach et al. 2005, who highlighted that delivery is positively affected by a certain level of biodiversity already existing in the forest. Additionally, Belin et al. (2005) found that the presence of small-scale ecological attributes in the property, such as wetlands or endangered species, makes forest owners more sympathetic towards ecosystem-based management. The remaining statistically significant coefficients on owners’ objective and subjective characteristics and the values attached to the property portray a different picture of NIPF owners willing to deliver the FES in return for a payment with respect to those willing to deliver without a payment. For the former, as expected, the forest economic value from the perspective of the owner—which is connected to provisional FESs—positively affects the willingness to change their forest management practices to deliver the FES only if compensated. In contrast, the latter attach to their forest a sentimental value as well as a bequest value (CHILD) and has owned the property for a longer time. They are also more inclined towards self-consumption of the wood harvest. These results indicate that sentimental motivations can facilitate the acceptance of opportunity costs by the owner, connected to the adoption of a less productive management model. Campos et al. (2009) reported these findings for Spain with the self-consumption of amenity values by the owner and his/her family. This is strengthened by bequest values and a vision of forests as legacies, as also shown by Côté et al. (2015). Similarly, the willingness by NIPF owners to deliver habitat improvement services in the alpine forests of Veneto can be interpreted as the fulfilment of the owners’ objectives of self-consumption rather than of provision of public FESs. Habitat improvement for the wider society would hence remain a by-product of the forest owner’s utility maximisation choices (Amacher et al. 2003; Conway et al. 2003; Domínguez and Shannon 2011). The Italian territory is very fragile and subjected to high soil erosion risks, and forests are expected to play a strong role in soil protection. Hence, the forest law, in force since 1923, defines mandatory restrictions on forest owners’ management rights that are among the strictest in Europe (Nichiforel et al. 2018), and Italian NIPF owners are familiar with this issue. Our findings show that the self-consumption of this regulation FES connected to the presence of landslide issues in the property positively drives the willingness to provide the soil conservation FES, regardless of payment. This might be interpreted as a signal of the need to conserve the forest estate by reasons internal to the owner’s utility function. Similar to the previously analysed habitat improvement FES, the owner’s perception that forest management already targets the FES (MANAGE_SERV) positively affects the willingness to improve the provision of the soil conservation FES with or without a payment. This could be explained by the long-standing experience of Italian forest owners with the actions required for the provision of this service. This finding cannot be compared with that of other studies; as to the best of our knowledge, no forest literature is available on this issue, at least in Southern Europe. The role played by the other property structural characteristic (F_TYPE) differs between NIPF owners willing to deliver the FES in return for a payment and those willing to do it without any payment: while the latter own mostly broadleaf forests and are less educated than the baseline, the former own more profitable coniferous forests and are more oriented towards self-consumption when compared to the baseline. Being located at higher altitudes where slopes are steeper, coniferous forests already have strict legal requirements in terms of soil protection, so our results show that any additional FES delivery needs to be compensated by financial support. Similar to the soil conservation model, the results of the carbon sequestration model show that NIPF owners with forests where conifers predominate (F_TYPE) are willing to provide carbon sequestration services only if paid. In contrast, the log odds of having conifers negatively affect the willingness to provide the service without a payment when compared to the baseline. This result clearly shows that when asked to trade-off a provisioning FES with a regulation FES such as carbon sequestration, which has mostly a public dimension, a public payment for the service is required. Moreover, those NIPF owners who ask for a payment perceive that they are already contributing in this regard through their current forest management activity (MANAGE_SERV). NIPF owners who have owned the property for fewer years are slightly more likely to engage in providing the service without a payment than the baseline; this result concurs with what was found by Rickenbach and Kittredge (2009), who claim that shorter durations of ownership positively affect management objectives other than productive ones. NIPF owners willing to provide the service without payment are generally older than the baseline; however, the impact of age on FES delivery is a matter of controversy in the literature, with findings stating both its positive (Beach et al. 2005) and its negative effects (Joshi and Arano 2009). The paper provides an initial contribution to understand whether NIPF owners in the Italian Alps would agree to deliver additional quantities of three regulation FESs beyond the legal requirements and which factors affect such intentions. Our results generally concur with the literature when showing that NIPF owners very often maximise not only their profit but also their overall utility, for example, by considering in their management choices the self-consumption of habitat improvement FESs. Within the diverse characteristics of forest management models of the Alps, where very little is known about NIPF owners (although they own a high share of the forested area), our work adds new insights into NIPF owners’ behaviour, helping to design active forest management policies focused on them. Our results show that NIPF owners in alpine Veneto seemed aware of the role of forests in delivering regulation FESs. The already high mandatory baseline imposed upon them did not seem to undermine their willingness to provide further regulation FESs: the data presented in Table 1 show that only 28% of the samples on average were unwilling to deliver additional quantities of habitat improvement and soil conservation FESs, while approximately 60% were unwilling to deliver additional carbon sequestration. Different reasons can be given for this. First, all our estimated models have clearly shown that the perception that the property is already delivering a certain level of the FES is crucial in encouraging forest owners to further engage in additional provision; this result might be explained by a perceived higher familiarity with the actions needed to provide the FESs. In other words, through decades of coping with the rules of forest management, forest owners have become acquainted with them and are more aware of their role and potentiality. This result was more evident with those FESs that were more common in the cultural environment of Italian forest owners, such as habitat improvement and soil conservation, but were less evident with ‘new’ ecosystem services, such as carbon sequestration. Second, the willingness to deliver regulation FESs was enhanced when they also have an impact on the property scale. This occurs when the risk of profit losses arises, as is the case with landslides in the property, which triggers action to minimise damages and avoid further losses through also improving forest management practices. It also occurs when the delivery of FESs, such as habitat improvement, impacts the overall NIPF owner’s welfare through the interplay with self-consumed cultural FESs such as amenity and recreation services. In other words, the driving forces behind the willingness to deliver those two FESs are linked to their in situ benefit provision. This is not the case with the carbon sequestration FES, whose positive public impact transcends property boundaries while directly and negatively affecting the NIPF owner’s profit by imposing a trade-off with provisioning FESs. Finally, the trade-off between provisioning and regulation FESs needs to be taken into account and accommodated at a property scale when considering the willingness to deliver the FES with or without a payment. Our results showed that the market orientation of forest management, expressed by a more profitable coniferous forest or by the sale of the last harvest, positively influenced the willingness to deliver the FES only in return for a payment. The same occurs when the overall economic value of the property is important in the owner’s view. Only when sentimental and bequest values are high where NIPF owners willing to deliver the FES without compensation. This was the case for habitat improvement FESs in our case study area. This result agrees with the other Southern European literature reports, such as that of Domínguez and Shannon (2011), who have shown that forest owners who have received the forest as a legacy in Spain perceive a moral norm to maintain and pass it on to future generations. This evidence responds to patterns of self-consumption of intangible values by the owner and their family. Our case study provides evidence for the on-the-ground need for policy tools to support the provision of regulation FESs in the alpine area of Veneto. Our results support a structured policy approach that targets each specific FES and is tailored to the NIPF owner’s forest management objectives. Under the existing strict regulatory context and given the highly fragmented and low-income forest property structure of NIPF owners, any additional delivery of regulation FESs cannot be obtained by further raising the mandatory baselines. Indeed, in our current context, NIPF owners find it difficult to implement market-based mechanisms focused on FES provision, such as voluntary certification initiatives, given the transaction costs connected to the change and the difficult access to adequate information and knowledge. Rather, compensation to the NIPF owners for further voluntary FES provision is necessary. When designing the payment levels, the policy targeting cannot neglect the trade-off between each regulation FES on the one side and the provisional or the self-consumed cultural FESs at the property scale on the other side. In tailoring the policy on the NIPF owners, financial compensation should be granted for those who are market-oriented, while medium-term information and communication campaigns supporting group certification initiatives need to be inclusive of all types of NIPF owners. In parallel, information and communication efforts should also be devoted to stimulating the demand for certified wood products. Although our work is limited in time, focused only on one area and based on a narrow sample of NIPF owners, it adds a new tile to the patchy and outdated picture of NIPF owners in the Italian Alps and contributes a new case to a literature of still rather few examples from Southern Europe. More broadly, our research adds to the growing body of research on factors affecting the willingness to deliver ecosystem services by including in the spectrum the regulation FESs. It can also stimulate further analysis covering a wider area of the Italian Alpine region and inspire other works from other Southern European contexts, where more research is needed to deepen the understanding of NIPF owners’ motivations and attitudes under the theory of reasoned action and planned behaviour. Overall, our case has highlighted the multifunctional forest management approach of alpine NIPF owners, who deliver a bundle of ecosystem services where self-consumption of regulation FESs plays an important role. Alpine NIPF owners’ willingness to deliver additional quantities of FESs is connected to the need to preserve the biodiversity-rich but vulnerable forest ecosystems they own. These findings may help to design appropriate policy tools for more resilient forest ecosystems that deliver FESs not only to their owners but also largely to society. In the case of Veneto, the threshold is established at 100 cubic metres for high forests or at a harvesting area wider than 2.5 ha for coppices. The snowball technique is a non-probability sampling method we have been forced to adopt given the impossibility to identify the NIPF owners who did not apply for harvesting authorisation. Despite being a suboptimal sampling technique, this method is widely used when it is not possible to identify the population to be surveyed. During the face-to-face questionnaire, the appropriate management practices needed to provide each regulation FES above the mandatory baseline were explained to each forest owner. The policy context in place, which does not provide any financial support, was also reminded. Finally, the hypothetical scenario of a payment/non payment scheme was clearly presented. The distribution of answers to each question for each FES (Table 1) seemed to exclude social desirability biases in the answers.